MotoReaper is a tool created by RootJunky and GeoSn0w. 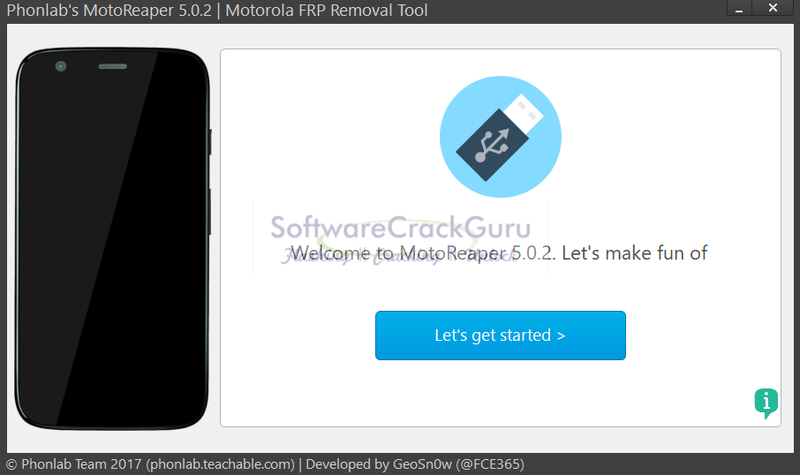 MotoReaper can be used to removal FRP from Motorola devices and has been tested on Android versions 5.1, 6.0, and 7.0. It is very likely that it will even work on Android 7.1 but time will tell on that version. Please report back if it does work on your Android 7.1 Motorola device. The best part is that MotoReaper is universal when it comes to Motorola device and will work on 100% of phones on these Android versions. Reboot and wait for the phone to fully boot up to the start screen. Do not connect to WiFi just leave the device on the start screen. Run MotoReaper and follow the steps as the tool directs you. If you are looking for Motorola Firmware you should also check out Androidfilehost.com where you can find lots of great new firmware.